The Congress on Thursday slammed the Arvind Kejriwal-led Delhi government for its "failed policies" on education, saying the number of students and its results have gone drastically down in last three years. "The claims of the AAP government that they have increased the capacity of senior secondary government schools, increased education budget and also improved the results are false. 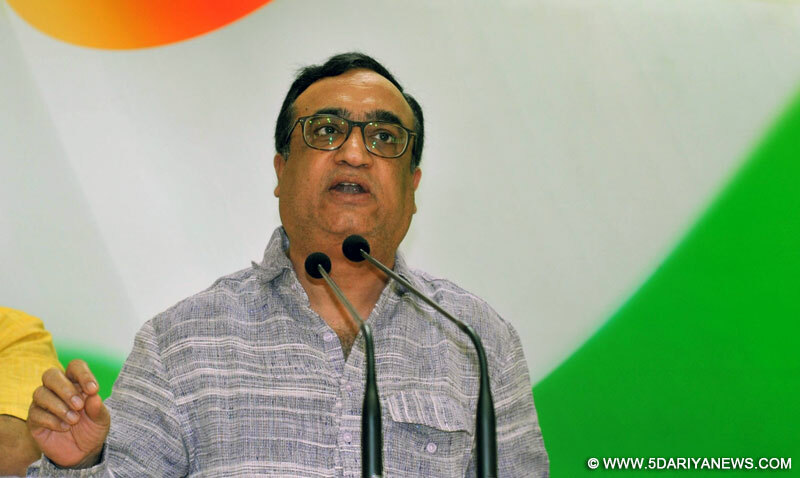 The fact is that in the last three years, the number of students enrolling have fell drastically," Delhi Congress chief Ajay Maken said at a press conference here. Citing data, he said that against 17.75 lakh in 2013-14, the enrollment rate under the AAP government now was 16.77 lakh, claiming that the last two years had seen a "mass exodus" of about one lakh students from government schools, while strength in private senior secondary schools increased by 1.42 lakh. About senior secondary school results, the Congress leader said that the government schools' records were the "worst-ever in the recent times", with numbers falling from 1.47 lakh students in 2014 to 1.24 lakh in 2015 and only 1.09 lakh in 2017.He also said that even the number of students appearing for the board exams have decreased in the last three years from 1.66 lakh in 2014 to 1.23 lakh in 2017.The Congress leader said that the government's policies of putting the students into the three sections of "bright, less bright and dull" was demotivating the students from enrolling in government schools.He also slammed the Delhi government for not spending the budget amount in education sector, saying that in 2016, they did not spend about Rs 1,000.97 crore of the amount while in 2017, they did not spend Rs 981.45 crore.